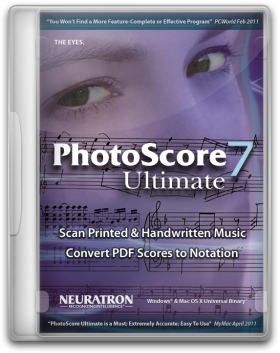 PhotoScore Ultimate 7, the full-featured version of the PhotoScore Lite scanning software for Sibelius, is the fastest way to scan music for transpositions, arrangements, and editions. 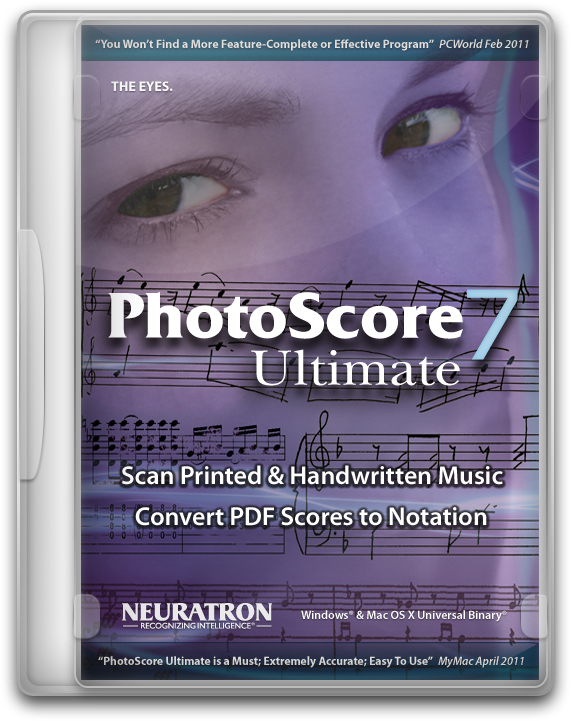 PhotoScore Ultimate reads printed and handwritten music or PDFs in seconds – not just the notes, but also printed slurs, dynamics, lyrics, guitar tab, chord diagrams, and more. You can then edit or transpose the music, play it back, extract the parts, and print – just as if you'd input it yourself. PhotoScore Ultimate 7 instantly recognizes handwritten music – no need to describe the style of handwriting. You get exceptional accuracy, including support for dynamics and hairpins, among other musical styles. Version 7 also delivers additional enhancements, such as improved, integrated support for PDF files; more accurate recognition of printed text; faster, easier, and more versatile editing; and an enhanced Pages pane.